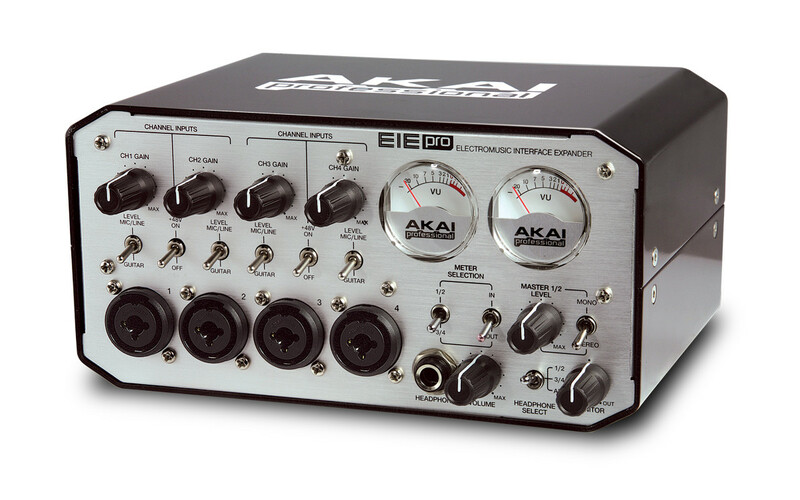 The Akai Professional EIE Pro is an USB audio interface that has a different feel to it than other interfaces. It has more of a retro look to it along with an odd shape. It cannot be racked and is only a desktop unit. But even on a desktop it still has a weird shape to it because it is tall and not flat. It has a built in 3 port USB hub, and also MIDI options so you can bring some other gear into it. 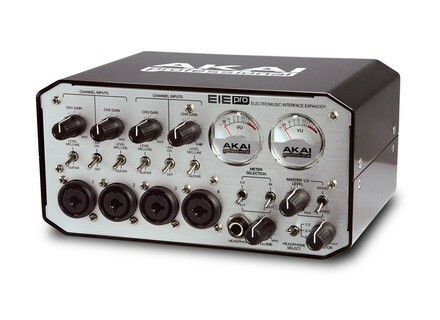 You can record up to 4 tracks at the same time on the EIE Pro making it a great unit to have for a small home studio. There are 4 preamps on each of the 4 XLR inputs. The only thing that I would change about this interface outside of the fact that it cannot be racked is that it should come with a powerful software like Pro Tools LE or something that is of that level for people who are beginners and are wanting to start recording right away. This is where I feel Akai lacks and M Audio wins. Akai is not known for making interfaces but they are known for making great products. Hopefully in the future with some of the interfaces they put out there will be a copy of Pro Tools right with it. This was not an issue for me, but I am sure some people would rather have Pro Tools to work with this interface right out of the box. The drivers are stable though, and they do not get updated very often. Setting up this interface takes absolutely no effort at all. It is very easy and quick to set up on any system or computer. You will get zero latency monitoring while watching the LEDs to see if you have anything clipping. But overall this is a solid interface, and it is very well built, with the perfect amount of simultaneous recording for a home musician. This could be one of the best desktop USB interfaces of this year.